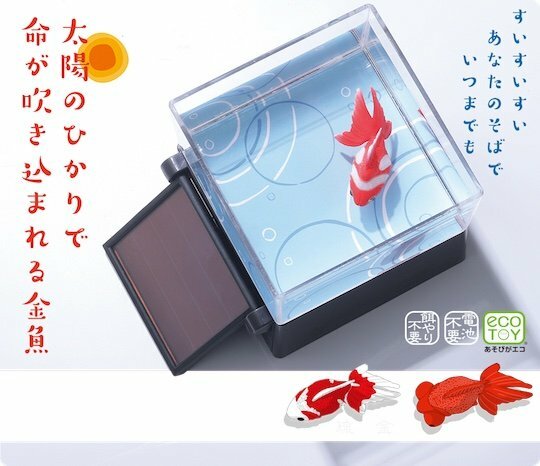 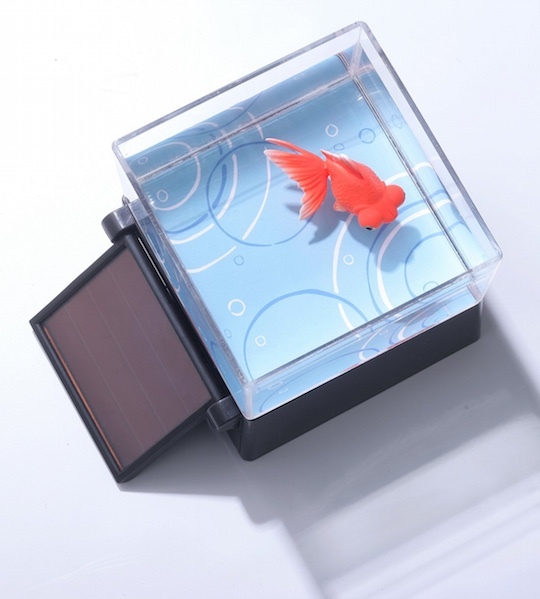 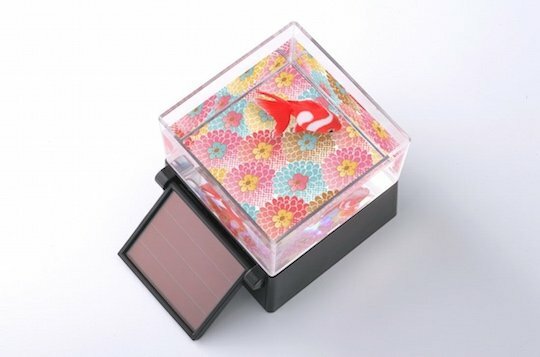 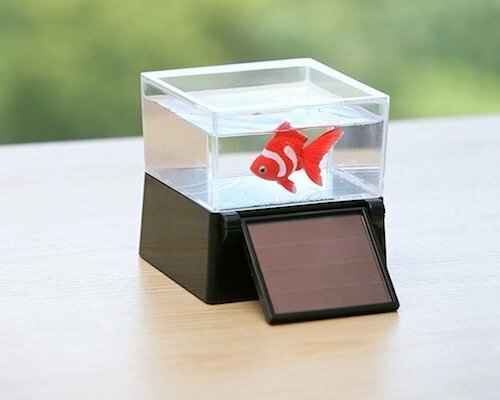 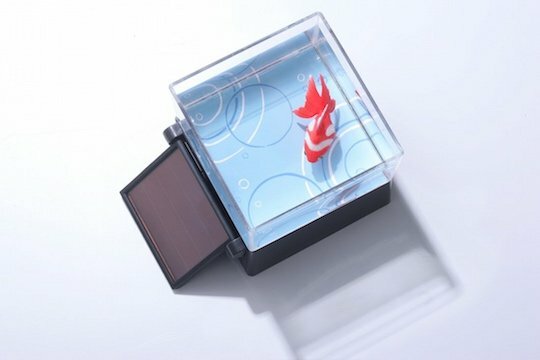 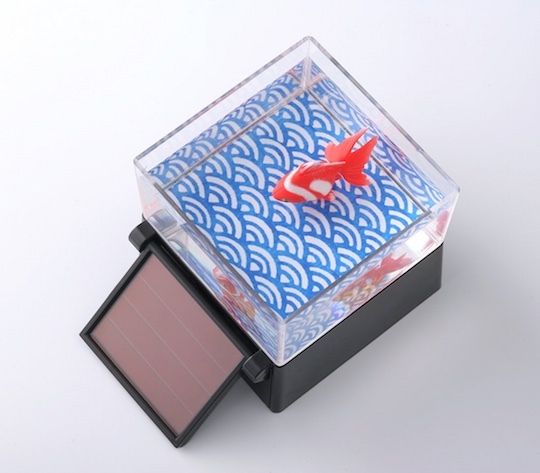 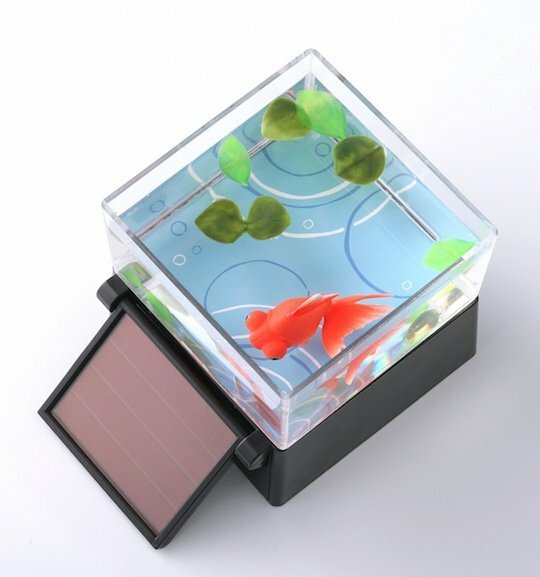 The Solar-powered Robotic Goldfish conjures up a classical Japanese image of a vividly colored goldfish, like something out of a Mika Ninagawa photograph or Edo-era ukiyoe woodblock print. 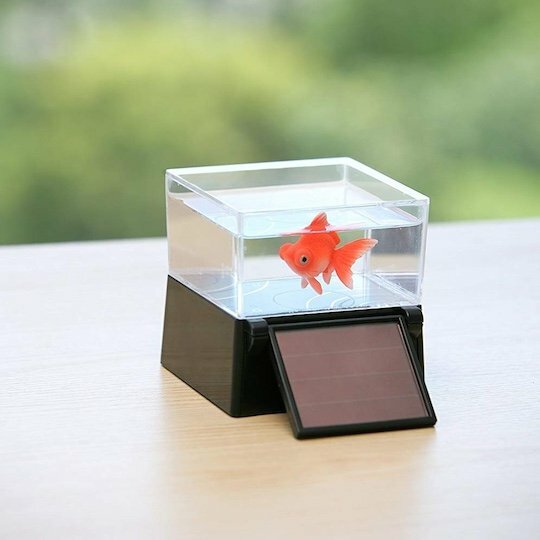 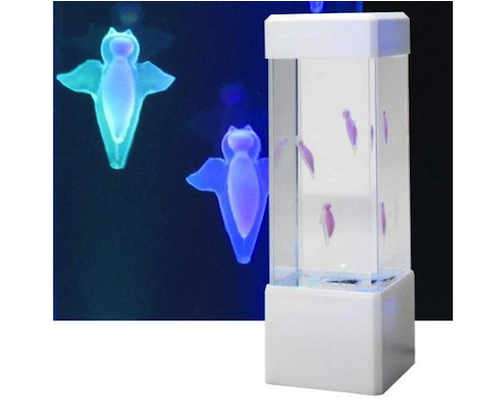 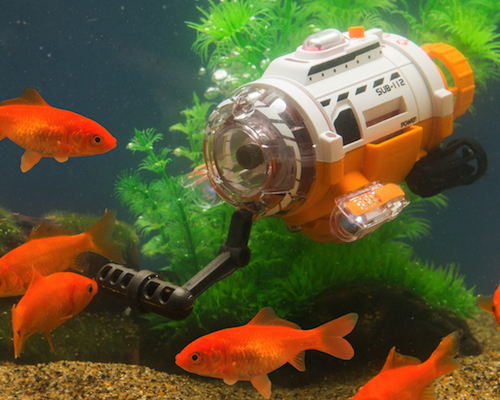 Available in two versions, the goldfish will swim gently around the compact tank, providing a soothing and cute addition to your home without the fuss of owning an actual pet. 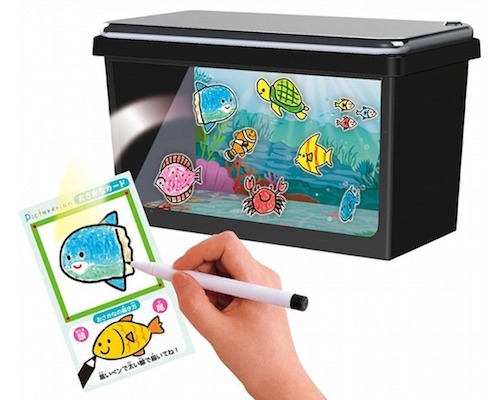 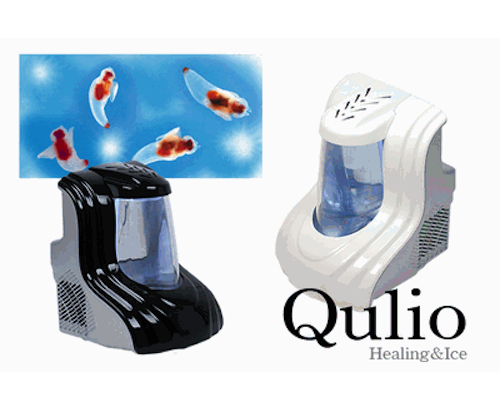 There are two types of decorative patterns for the tank that offer you the experience of a mini art aquarium. 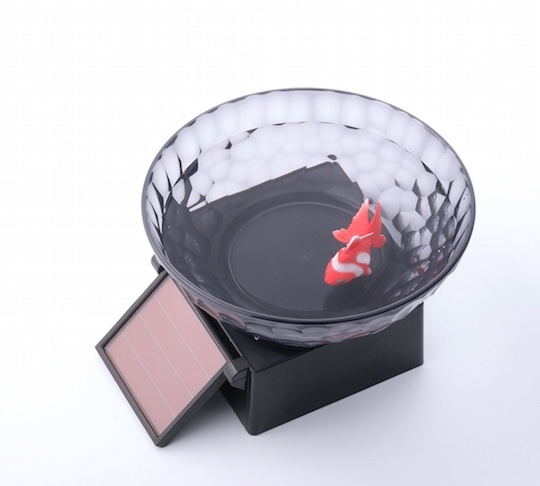 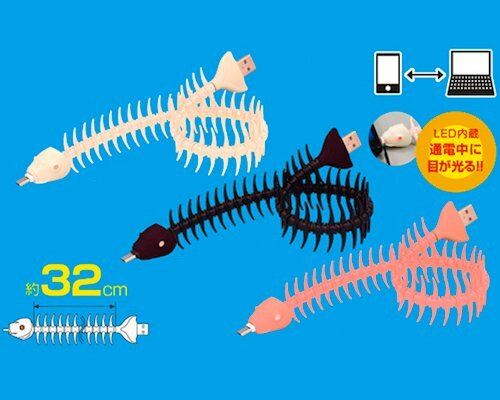 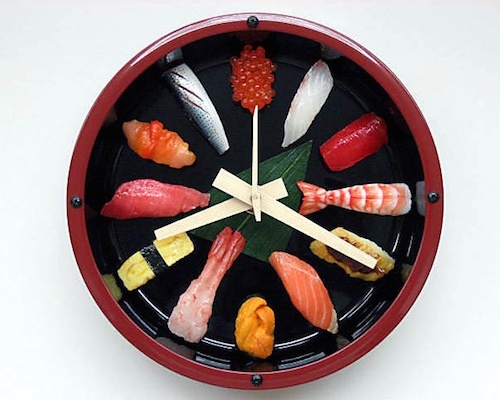 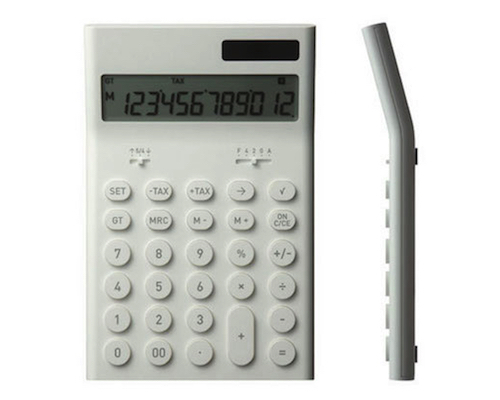 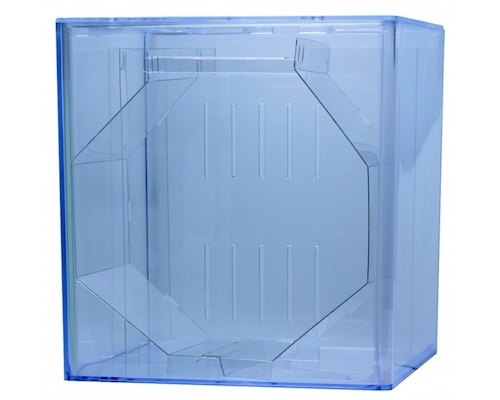 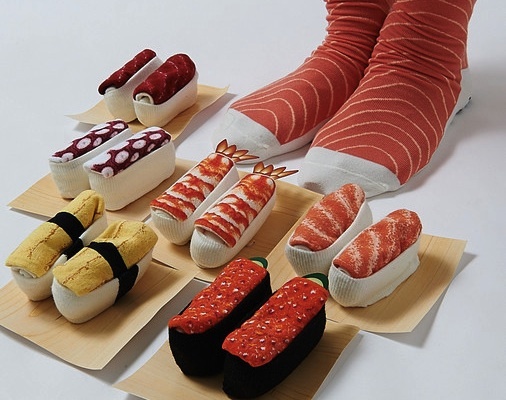 You can also place the "fish" in another container of your own choice, such as a bowl or cup.